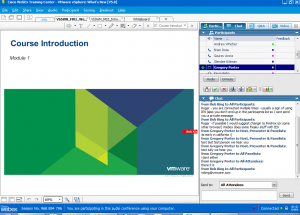 I recently attended VMware vSphere: What’s New [V5.0] class from VMware. Normally I prefer to go to instructor led training. This time, because of tight budgets and schedules, I elected to attend a Live Online class. It wasn’t bad! 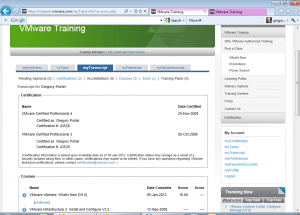 Read more to see what an online class from VMware is like… You enroll for the class the same way as any VMware class. I believe that the tuition cost is the same, whether you chooe instructor led, or online. 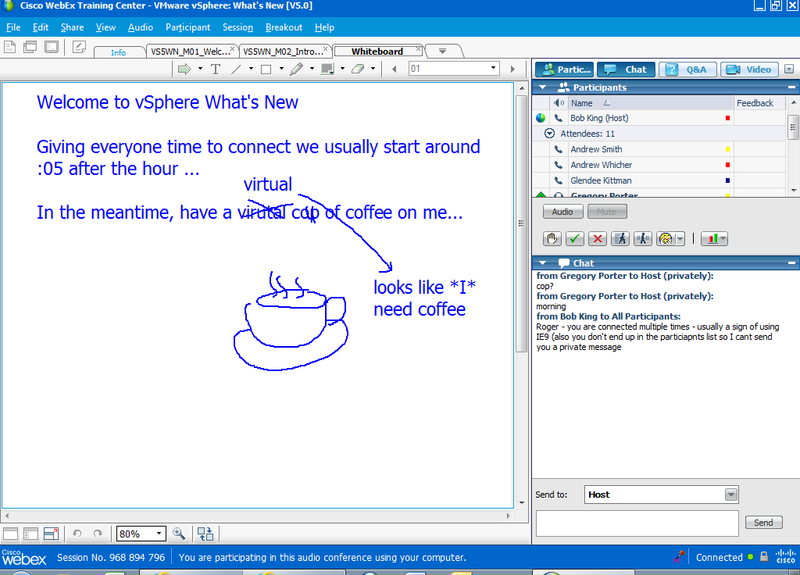 I used the chat function at VMware’s training site. They had the chat widget set to connect me to my local VMware training sales person, Pete Sears, who helped me enroll and arrange for payment. This worked very well. 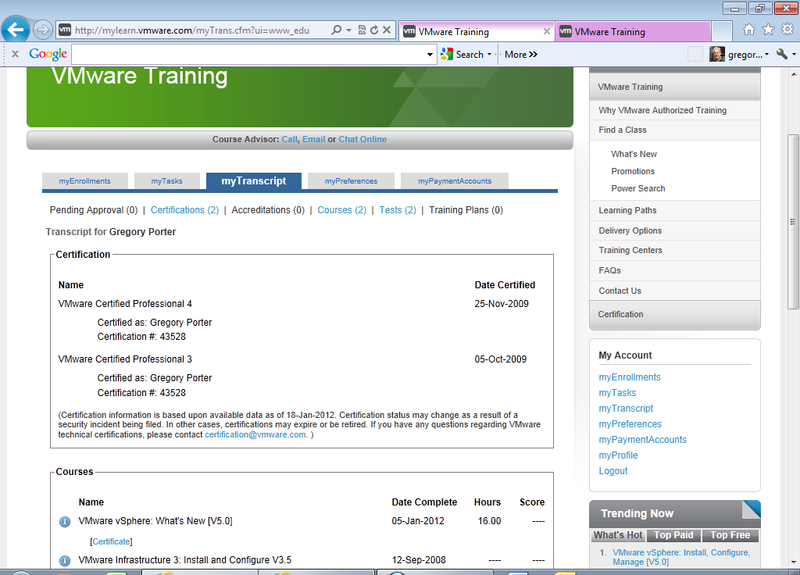 After you enroll, and prior to the class starting, VMware sends you information about accessing the course materials. This is basically the lecture slides and the lab manuals. I think this is basically what you’d get in printed books at a “real” class. You get these in PDF files with DRM by LockLizard. You need the LockLizard DRM PDF reader to read them. After registering your installation of the reader, you can open and view the documents. Although you can download the documents, and have them and the reader on your local machine, you cannot be offline to read them. LockLizard needs to “phone home” every time the document is opened. This didn’t work so well for me, as I study on the bus to/from work with no internet access. LockLizard also disables all screen capture, so I cannot post a picture of what the doc looks like here. It’s just PDFs of the lecture slides and the lab manual. The class itself is a WebEx Training Center. 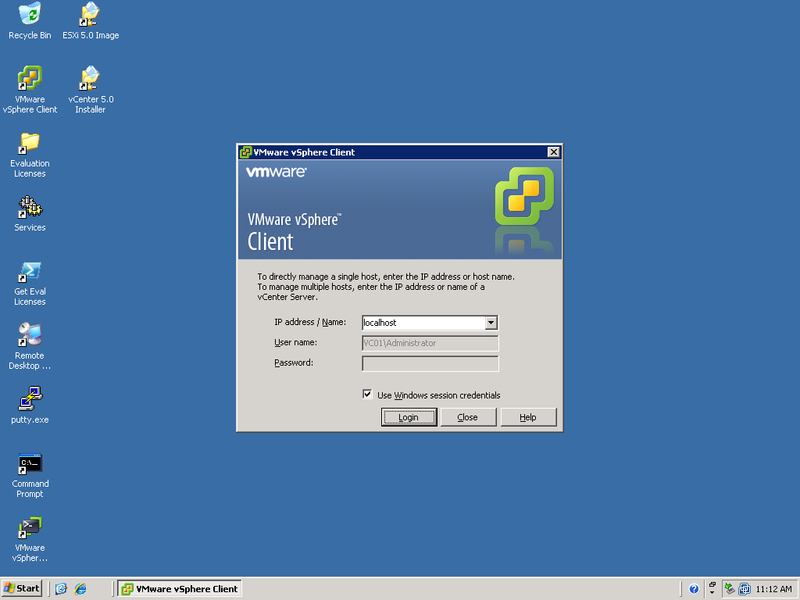 You log into your VMware training account, and then click on join class. 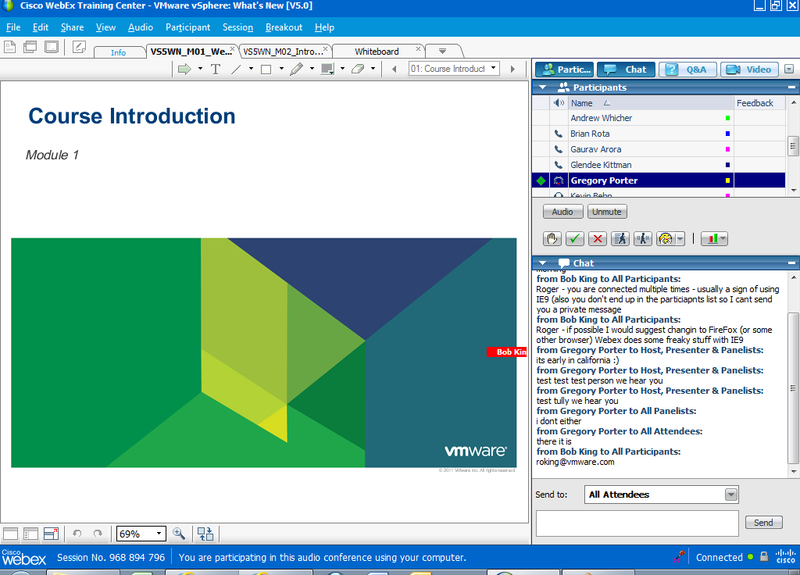 This starts the WebEx. They start classes at various times, the one I selected started at 0900 Central, CST. I’m on Pacific, PST. So that means I started a bit early, at 7 AM. One poor student was attending from Australia, he was starting at 0200 local. Students have to participate. You not only listen to the lecture, but you interact with the students and instructor verbally. 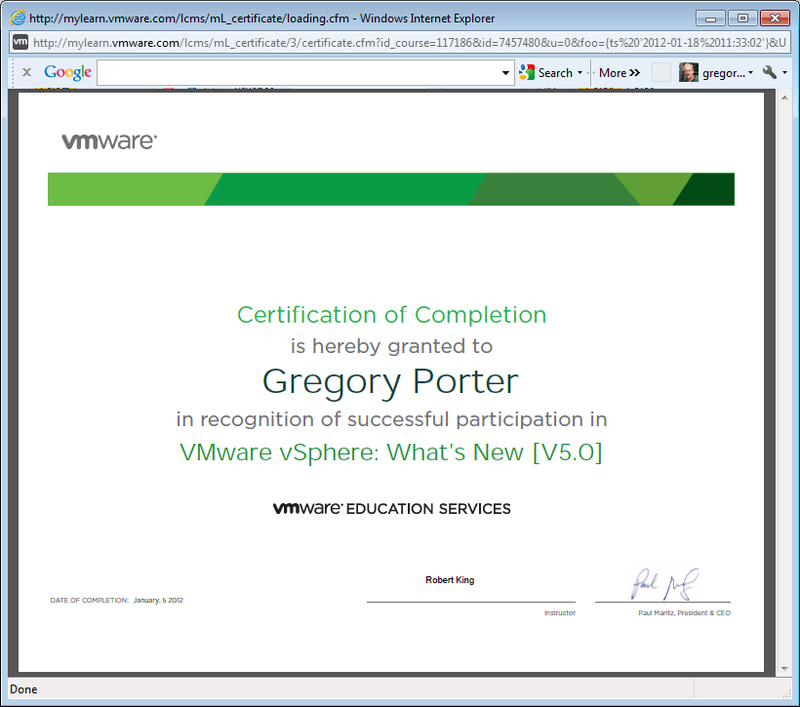 (The VMware standard is that students have to be mentally engaged at least 75% of the class time to get credit.) So you have to either use the built-in WebEx VOIP phone-over-the-internet function with a headset (what I did), or dial into the audio conference (I don’t recall if this was a toll call…) We had students doing it both ways. With the WebEx, the instructor could show slides, draw on a whiteboard, or share his desktop. This worked fine. The class is basically 50% lecture, 50% lab. The labs were good, my favorite part. 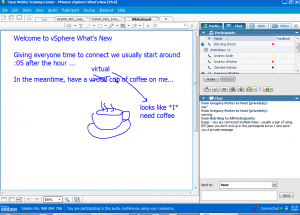 (If you’ve ever been to VMworld, and did the labs there, these are presented in a very similar fashion.) 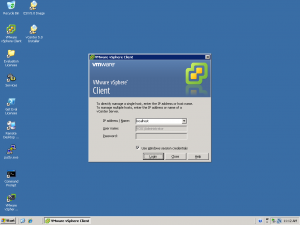 Basically you use remote desktop (RDP) to get into VMware, and then RDP to the lab kit that has been provisioned for your class. Some of the labs you do alone, some of the labs you work with a partner (you need to talk for that, too.) 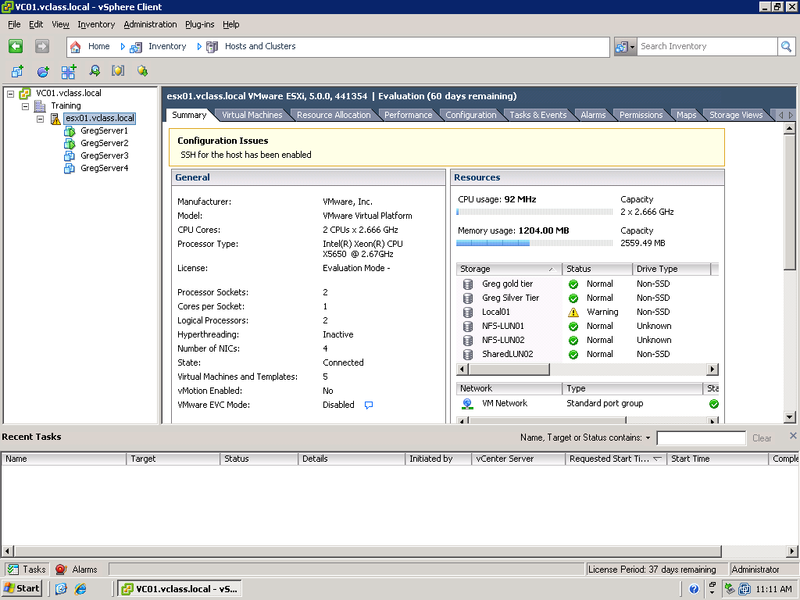 You have a VMworld-like access to a virtualized vCenter environment, with vCenter, one or more ESXi hypervisors, storage, and various virtual machines. The lecture and labs exactly follow the course outline. The labs (laboriously at times) take you through every training objective. 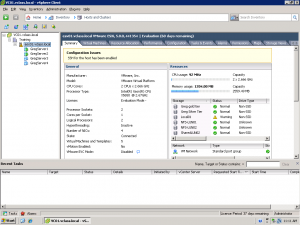 You do hands-on installs and configurations of all the vSphere 5 components and then some. 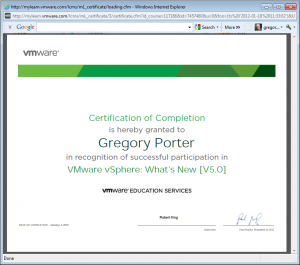 If you haven’t gotten a chance to use vSphere 5, the class will give you ample opportunity. My instructor was Bob King. He’s a VMware employee (VMware still does some of their own training, unlike other vendors who have outsourced all of their training…) Bob was experienced, funny, and kept us from wandering off too far. Class hours were as published. 0900 – 1700 CST for 2 days with a one hour lunch. Bob is punctual and expects you to be as well. I fiddled with WebEx and my headset and all that technical stuff the day before, so I knew it all worked before class started. I suggest you do that as well. The certificate doesn’t mention it either. All in all, I found the online training to be a viable option. I’d still rather travel, mainly for opportunities to interact with students outside of class, but it was fine! I’d do it again.